A renewal of popular interest in sea shanties coincided with the commercial folk craze. Country, folk, and pop artist from Jimmie Driftwood to the Norman Luboff Choir recorded entire albums of seafaring songs, and in 1961 the Men of the Robert Shaw Chorale did the same. 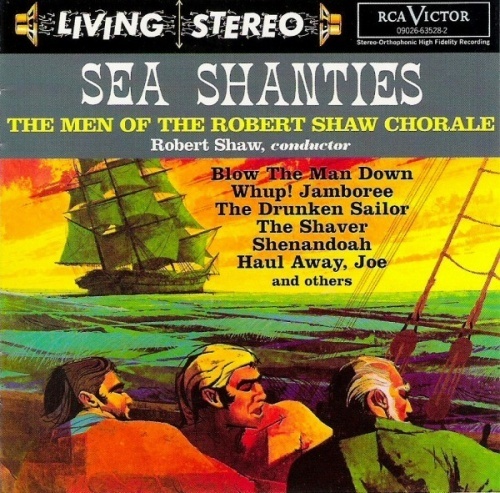 Because Shaw's chorus was primarily a classical music ensemble, its interpretations of watery favorites like "Blow the Man Down" and "What Shall We Do with the Drunken Sailor" are very reserved, polished and precise. None of Driftwood's rowdiness and humor or the Norman Luboff Choir's pop flourishes is to be heard here. The album has a serious, almost academic aura in place of the rousing Pirates of the Caribbean caricatures one might expect. The chorale appealed to intellectual listeners, though, and its approach is in keeping with accepted modes of classical music performance.